Archimedes famously boasted that, were he to have a lever long enough and a place to stand, he could move the Earth. A bit over-dramatic, perhaps, but he was (theoretically) correct – with a properly-placed lever, many seemingly-impossible tasks become not only possible but downright easy. In particular, the principle of leverage can have a profound impact on personal freedom. I put this to the test over the past few months as I trained for a half-Ironman triathlon at the end of August in Old Orchard Beach, Maine. I have long believed that one of the pillars of personal freedom is physical well-being (it’s the bedrock of the five freedoms – physical, mental, spiritual, social, and financial – and the one on which all the others rest). Triathlons are a great way to stay in shape since they are multi-disciplinary: swimming, biking, and running exercise different muscle groups, require a strong aerobic base for endurance, help prevent injuries through cross-training, and require a daily commitment to healthy activity. Plus, they are a ton of fun and a great way to meet like-minded people in beautiful, natural surroundings. 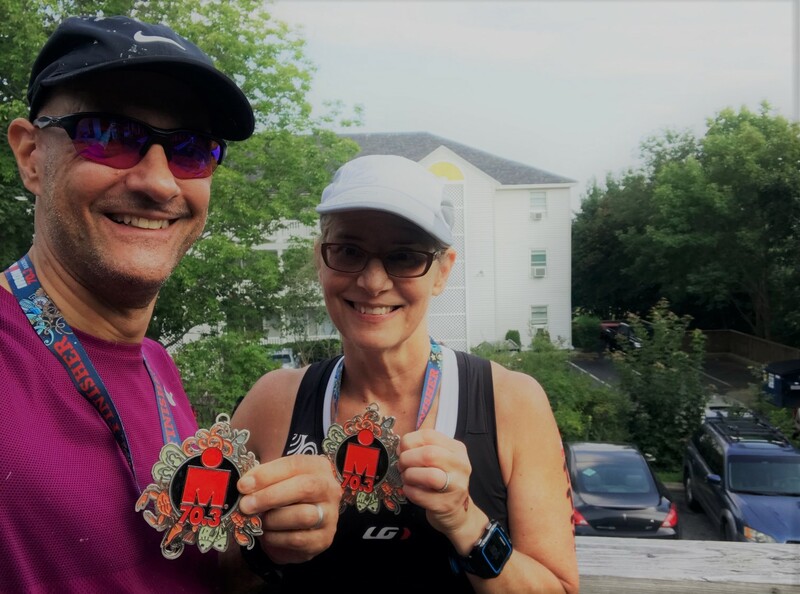 They are also an activity that’s open to practically anyone at any age or any stage of physical ability: when I started participating in triathlons 7 years ago, around my 50th birthday, I could barely do a super-sprint distance (a half-mile swim, 6-mile bike ride, and 2-mile run). Now I can do a half-Ironman distance: a 1.2-mile swim in open water, 56-mile bike ride, and 13.1-mile run. It’s taken me several years to get to this point, but all it really required was diligence and perseverance (hey, if I can do it, you can do it, too). Leveraging your assets when you are not working to get the highest return on those assets consistent with your risk profile, so that your assets replace your income from working and allow you still greater personal freedom to pursue non-money-making activities of your choice. “Leverage” here does not necessarily mean financial leverage – in fact, in many circumstances pertaining to personal freedom it means exactly the opposite. When you’re younger it’s perfectly fine to borrow money to fund the purchase of a home or other asset that will either provide income and/or grow in value over the long haul, but as you get older you may want to “de-leverage” and pay down or pay off debt so that you are unencumbered by loan payments and can free up that cash flow to fund investments or more meaningful/fun/impactful activities. One of my favorite FIRE (financial independence, retire early) bloggers, Mr. Money Mustache, calls this the “position of strength” because you’re not weakening your financial position with unnecessary debt (see http://www.mrmoneymustache.com/ for more). The great thing about leverage is that it’s easy to get started in almost any area of your life, and it works so well that you’ll be motivated to create even more leverage for yourself as you experience the results (so, in that regard, you might say that it’s self-leveraging!). Where can you apply some leverage in your own life today to create more personal freedom? Give it a try and let me know how it goes!